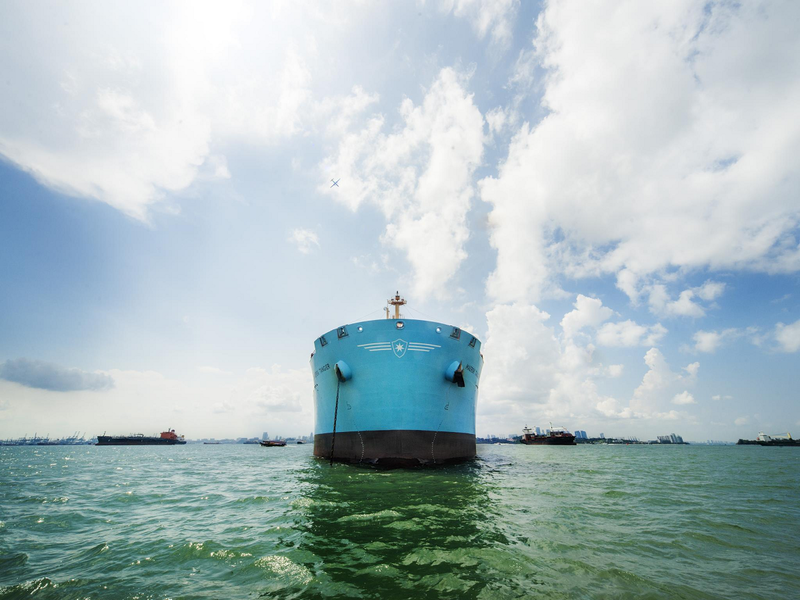 Maersk Tankers is testing the use of wind power to fuel its ships, a new technology it says can cut fuel consumption by up to 10 percent and help the industry reduce polluting emissions. The move comes as the global shipping industry is suffering from rising oil prices and preparing for fuel costs to rise further by around a quarter, or some $24 billion, in 2020 when new rules limiting sulphur kick in. The company has installed two 30-metre tall metal cylinders on board the Maersk Pelican, a Long Range 2 (LR2) product tanker vessel. The cylinders, or rotor sails, work as mechanical sails that spin to propel the vessel forward. The Maersk Pelican will depart Rotterdam on Thursday for a test journey. If successful, Maersk Tankers, which shipping giant Maersk sold last year to its controlling shareholder and Japan's Mitsui & Co for 1.71 billion, plans to install the cylinders on half its 164 vessels. The company did not specify what savings could amount to, but said an LR2 vessel on average uses around 35 tonnes of shipping fuel per day. At the current price of high sulphur fuel <FO35-C-NWE> of around $420 per tonne, that would amount to yearly savings of as much as $365,000 if the vessel sails 250 days a year. The change in regulations in 2020 forces a portion of the world's fleet to switch to lower sulphur, but higher cost, fuels such as marine gasoil (MGO) and ultra low sulphur fuel oil. The total global shipping fuel bill is roughly $100 billion a year, consultants Wood Mackenzie estimated in April. Maersk Pelican is the third vessel to have the rotor sail technology installed. Norsepower, which delivered the technology, first installed it on a small cargo ship in 2014 and on a ferry sailing between Sweden and Finland in April this year.